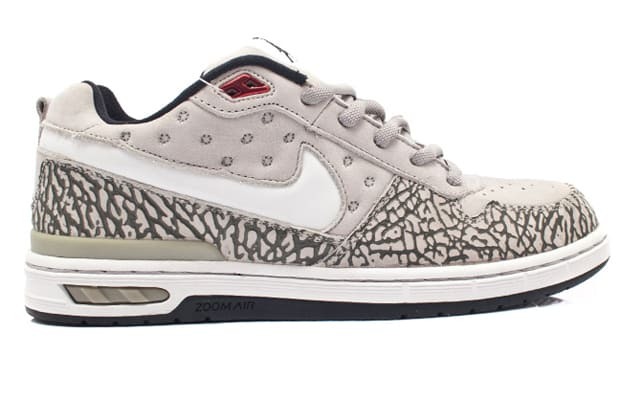 Paul Rodriguez never got his own Dunk SB, but we think this makeup of his first signature shoe more than made up for it. His P-Rod 1 was re-worked by none other than Tinker Hatfield, who not only liberally applied elephant print and the Air Jordan XIII's golf ball stitching, but added Jumpman logos on the tongue and the heels. Extremely limited and extremely sought after, the Elite P-Rod 1 remains one of a kind.